PRESENTATION OF "THE HUMANITARIAN WORK OF THE FRENCH NAVAL AND COLONIAL HEALTH SERVICES"
"Real progressive people are those whose starting point is ingrained in a deep respect for the past. All our achievements and what we are, constitute the outcome of a work conducted throughout the past centuries". Some day (which may not be so far away) French Colonization which took place during the Third Republic, will be analysed by historians, sociologists and ethnologists in quite an objective way. This major undertaking will be assessed, and positive aspects should be highlighted. In the second part of the nineteenth century colonizing France found a justification of its "great power" statute in providing natives with inter tribal peace and elimination of slavery, and in supplying them with education and health care. When the Colonial Army Medical Officers took over Naval Medical Officers who had been posted abroad in these regions, as so far there had been no other health professional on hand, their corps was assigned the duty of conducting civilian health programs in the French colonies, with the exception of Maghreb. This is how in 1890 the "Colonies and Protectorates Medical Corps" got set up which became in 1903 the "Colonial Army Medical Corps", and later "the Overseas Troop Medical Corps" before merging with the "Armed Forces Medical Corps". Colonization spreads over a period which started at the time of Sadi Carnot and wound up with Charles de Gaulle. Now with the benefit of hindsight it can be taken stock of the achievements of these men by taking into account the conditions which prevailed at the time they were working... and while a few Members of the Colonial Medical Corps are still alive and are able to give their account. - to specify the objectives. - to give good reasons to keep them in mind. - to show the limits. - to emphasize a few preliminary remarks. It is all about reporting the work which was done in favor of civilian populations with its successful achievements but also its failures. Most often weather conditions were tough and there were also unknown diseases while microbiology was only at its earliest stage. In 1903-1904, ten percent of the officers died in the line of duty and those were most often the younger and less seasoned ones. Once a country was conquered with the undertaking of pacification, the most urgent duty which was assigned to colonial physicians and pharmacists, was facing and fighting major tropical endemic diseases which took a heavy toll on native populations but did not spare Europeans. A large majority (80%-90%) of Colonial Medical Corps personnel were working "out of the frame of the military" which means that they were assigned to civilian positions. Most of their patients (around 99%) were natives who were granted free access to medical care and medications. Everything had to be started from scratch : clinics for outpatients, maternities, hospitals and also setting up tours of treatment and of vaccinations with also rounds of screening... The "bush physician" who was on his own in rural settings, was the most emblematic cog in this sound local community action. 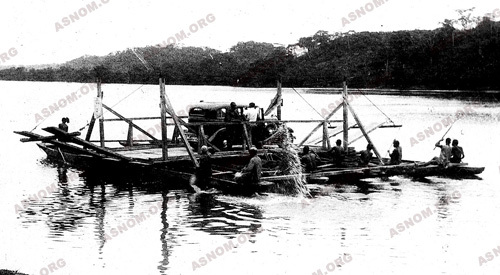 It was a huge undertaking, allocations of money were scarce and there was not enough personnel. 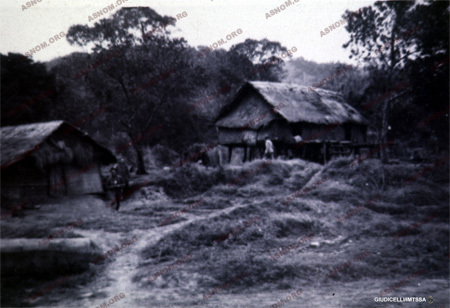 Despite all this, colonial physicians and pharmacists with the help of their native coworkers whom they had trained in institutions which had been set up, were often successful in curbing tropical endemic diseases with the techniques they had either devised or adapted. These diseases started to be better known mostly because of the help of the Pasteur Institutes and some other research institutes which they had established and run. Finally it should be reminded that the colonial medical corps wich had existed for seventy eight years only between 1890 and 1968 on the one hand has been preceded on the job since the eighteenth century by the Naval Medical Corps, and that also on the other hand the governments of these countries for a long period of time after becoming independant have made applications to employ these personnel. This is why in 1982 as many medical officers and pharmacists were on assignment overseas "out of the frame of the military" as in 1939, which makes for about seven hundred of them. In the year 200O a little less than one hundred of them are still posted overseas forty years after these countries won their independence. By the end of the nineteenth century, Europeans kept in mind the outbreaks of plague and cholera which had occured less than one hundred years before, and which were still talked about... but most people were totally unaware of the condition of millions afflicted with Malaria, Bilharziosis, Amoebiasis, Leprosy... who were suffering and dying across the world. The life expectancy of these populations was around thirty years, one infant out of four died before the age of one and so on... Few are the reporters or writers such as Albert Londres or André Gide who in the nineteen twenties displayed their qualms about these very facts. And yet less than a century later, these populations are twice or three times as big, areas which were deemed unsafe have become trendy holiday spots and most endemic diseases are curbed. Personnel from the French Military Medical Corps who were on assignment there, worked with an absolute lack of concern of the public opinion in France. Each one was fulfilling his duties without making any fuss, well in accordance with the tradition of the Military which is sometimes dubbed in France the "Big Silent One". In 1985 a French historian by the name of Pierre Pluchon wrote the following "Despite the impressive achievements of the colonial medical corps the French still prefer to celebrate Dr Schweitzer's activities. The latter in spite of being an organist and appealing to american publicists has not the same service record as any of the five thousand or so colonial physicians and pharmacists who were trained at the Pharo Institute". This website was written by some of those who got involved in the actions of this era. Some chapters were written after looking through the archives or after reading the articles which have been published by their elders. 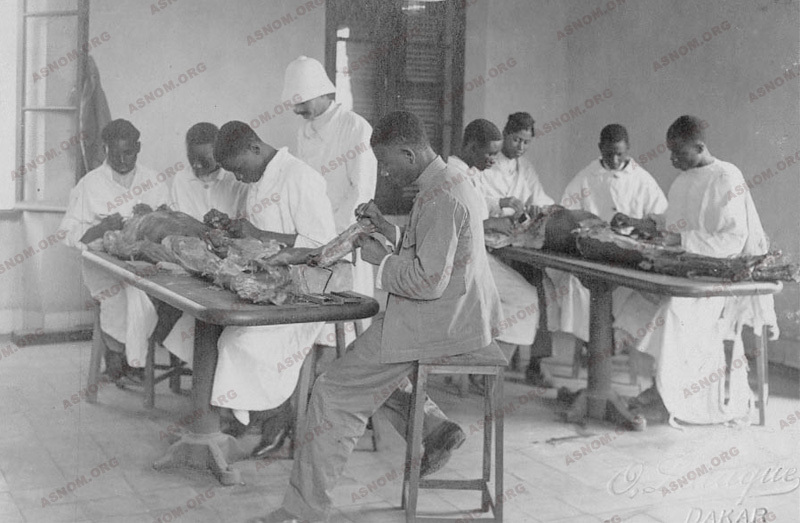 May the French Colonial Medical Corps be better known through the browsing of this website together with its remarkable achievements over an eighty years period of time. Misunderstood or ignored by the French public opinion, these personnel either officers or non commissioned officers gave credit to France and reinforced the international influence of their country. This site is absolutely not about bringing into focus an inventory of our present knowledge in the field of tropical medicine. It does not intend to provide browsers with any technical medical update nor to make a comprehensive reconstitution of the history of major tropical diseases as this has already been the scope of many previous works. It would have been boring to go through all common diseases which are found in tropical countries. The only ones which are given full consideration here are on the one hand those which led the Colonial Medical Corps to take a decisive action against, and on the other, those which it succeeded to fight with an undisputable efficacy. Beyond the nineteen seventies and eighties the role of these healthcare professionals of the military for the benefit of civilian populations became restricted to limited fields where their technical advices were strongly appreciated. As the scope of this site is limited to the role of the corps for the benefit of civilian populations, it does not deal with the part which the corps played in wars as this is the domain of the War Ministry. It is needless to say that these active duty military personnel were present on the field of action for the benefit of troops which were engaged in the different conflicts of the twentieth century. Le Pharo Flag is decorated with the "Legion d'Honneur",and with the "Croix de Guerre" 1914-1918, and the 1939-1945 also. 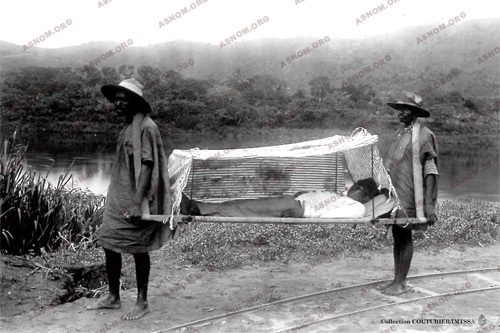 The following names of 19 colonial doctors and one administration officer who were "Liberation Companions" in the Medical Corps: Raoul Béon 1911-1943, Guy Charmot 1914, Guy Chauliac 1912-2005, Guy Chavenon 1911-1973, Jean-Marie Coupigny 1912-1982, Adolphe Diagne 1907-1985, Xavier Gillot 1909-1996, Paul Guénon 1911-1946, Paul Guillon 1912-1965, Yves Hervé 1909-1944, Jean Laquintinie 1909-1941, Charles Mauric 1910-1990, Henri Monfort 1909-1984, Marcel Orsini 1911-1999, Adolphe Sicé 1894-1957, Pol Thibaux 1914-1963, Jean-Frédéric Vernier 1905-1980, Jean Vialard-Goudou 1902-1970 ; Charles Vignes 1905-1951. And René Amiot 1914-1985 administration officer. This site does not make any comprehensive review of civilian European healthcare workers either working under a contract of the Ministry of Colonies or being on private practice in cities after the Second World War. We should also mention the existence of private medical clinics which had been set up in rural areas and which were mostly run by healthcare workers belonging to religious orders who were totally devoted to their patients. 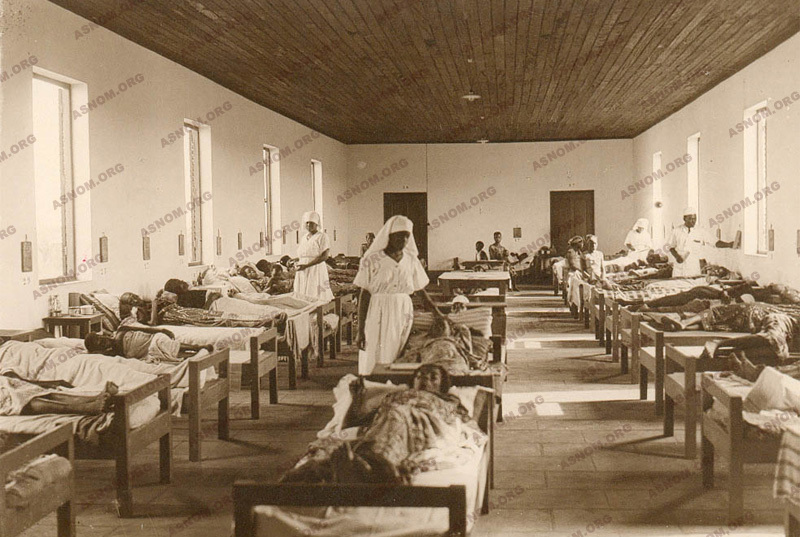 Nuns who were registered nurses also responded to the call of some colonial hospitals mostly while they were in their first years of operation. All texts are anonymous as they result from a collective writing. All members of the "Association Amicale Santé navale et Outre Mer" were invited to participate in this work. The texts have been organized in a pedagogical manner under the auspices of a commission seated in Marseille at the Pharo School from 1998 to 2001 composed of A.Mazer year 1948, , M.Sankalé, 1939, P.Bourrel 1945, J .F Blanc 1947, J.L.Oudart 1952, B.Maistre 1953, D.Drevet 1963, P.Barabé 1956, et B.Brisou 1952, M.Sardet 1952, L.Reynier 1953 for the marine texts. Whenever an author who is a fellow of the Association, happens to be cited in one of the texts his name is asterisked (*). As some browsers may not be familiar with the field of medicine, writers strove to avoid using too technical terms, sometimes to the detriment of precision. The style being more journalistic than scientific. We fully accept the consequences of our deliberate choice. The story of the Humanitarian Work of The Colonial Army Medical Corps is to be found on a CD Rom which can be shipped upon request. Requests should be made to : ASNOM, 19 rue Daru, 75008 Paris. The pictures on the site belong to the "Institut de Medecine Tropicale du Service de Santé des Armées - IMTSSA - Le Pharo, Marseilles, France" or to the "ASNOM" or its fellow members, and when indicated, to other institutions such as ESSA, ECPA. In spite of all our efforts we have been unable to get in touch with those owning copyrights of documents dating back to the early twentieth century. These photographs are copyright reserved. Prior to making any use of any of them, please consult ASNOM, 19 rue Daru 75008 Paris, to get all information regarding these copyrights.